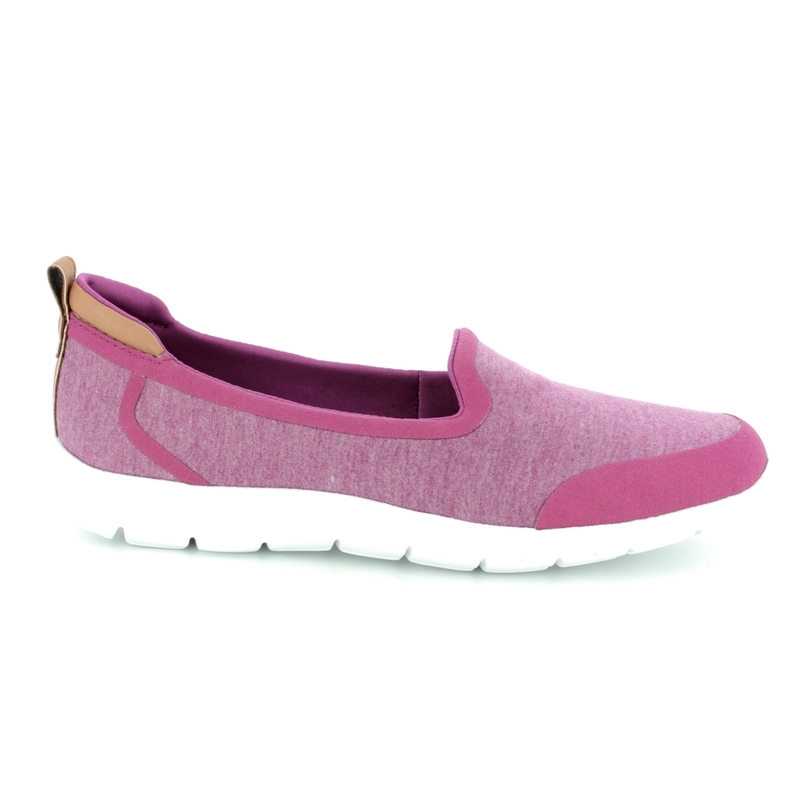 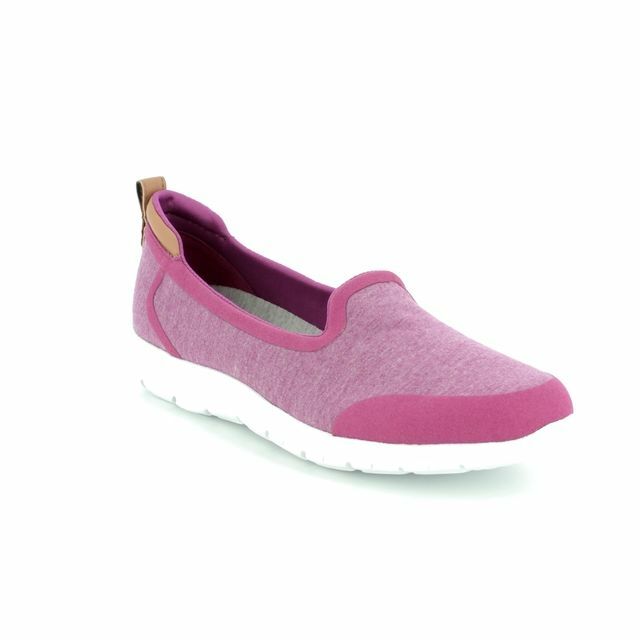 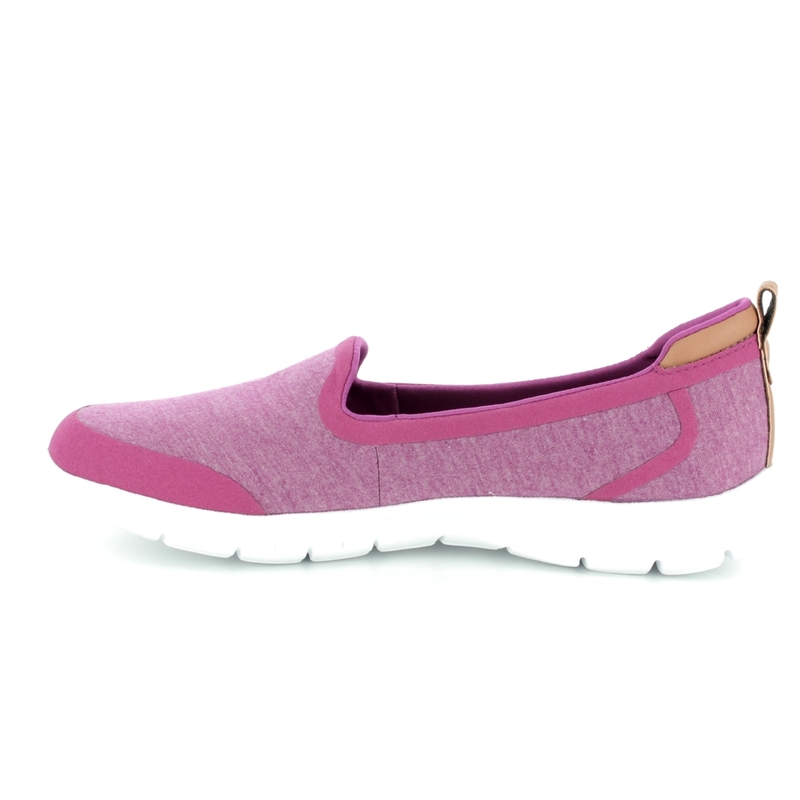 Clarks brings us 3400/74D STEP ALLENA LO a fuchsia pink slip-on trainer that is the perfect leisure shoe for summer or travelling as it is incredibly lightweight and comfortable. 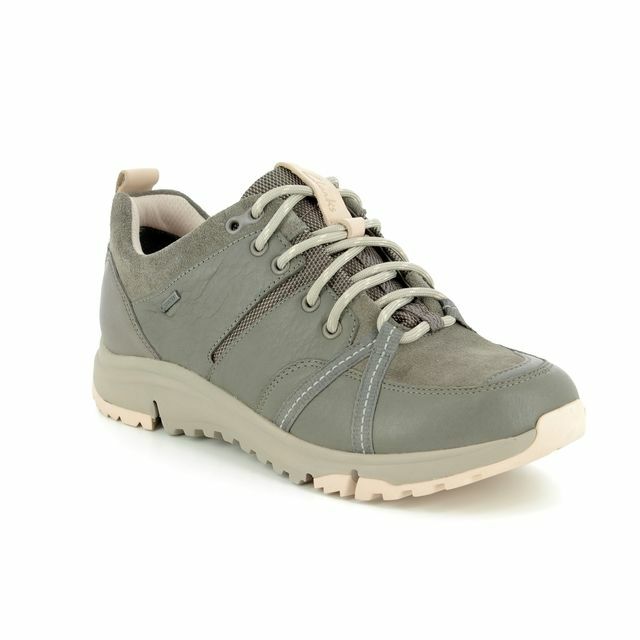 These trainers are part of the Clarks Clousteppers collection that was created to make shoes that feel as light as air on your foot and provide superior cushioning while walking. 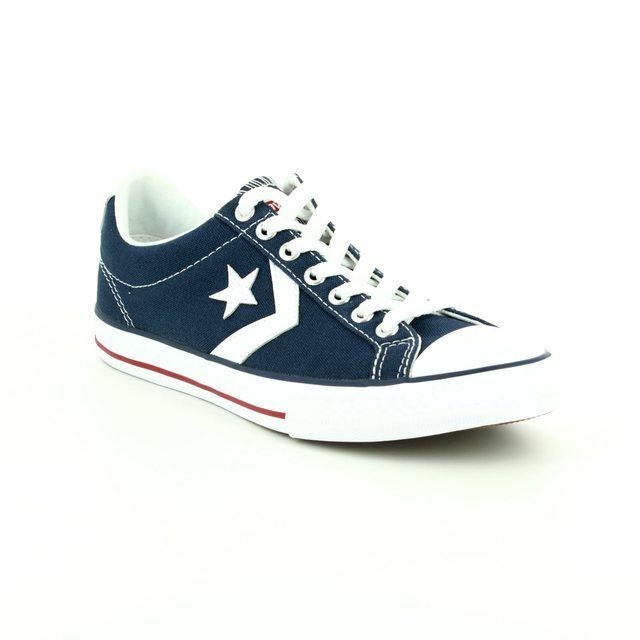 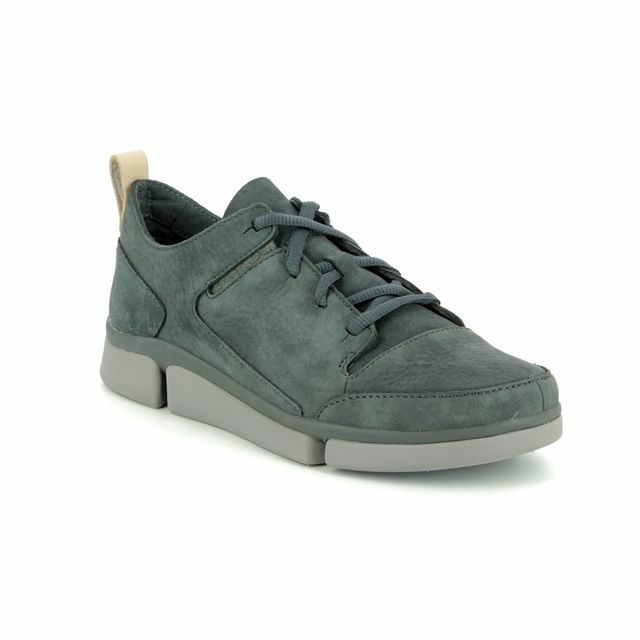 There is a high rebound Ortholite foam inlay embedded in the shoe which absorbs the impact from every step. 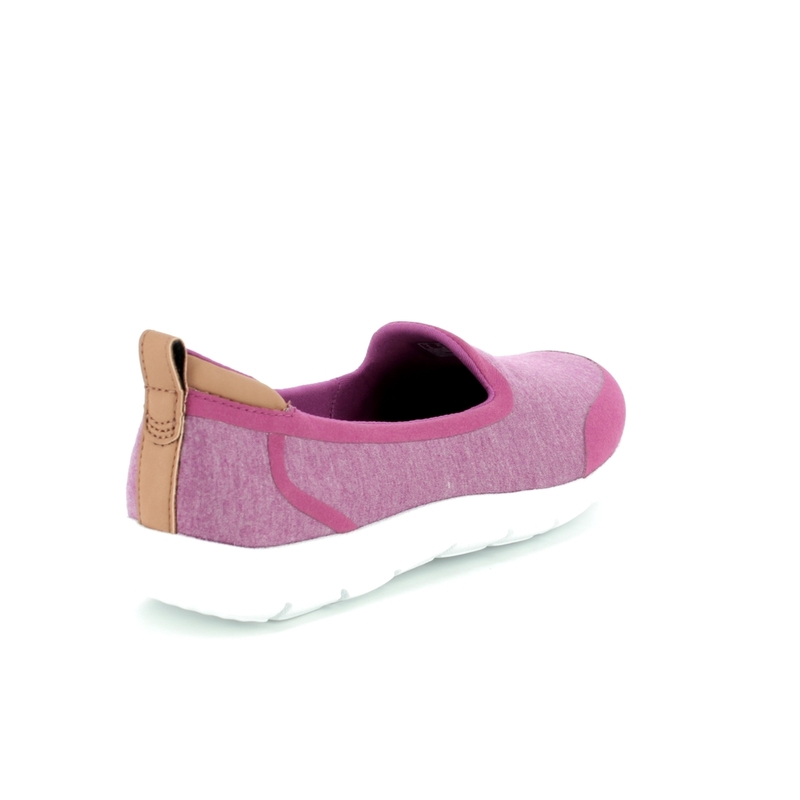 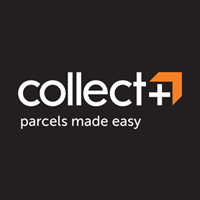 The sole is made from incredibly lightweight EVA foam which is shock absorbing and flexible allowing you to move easily and reduces foot fatigue. 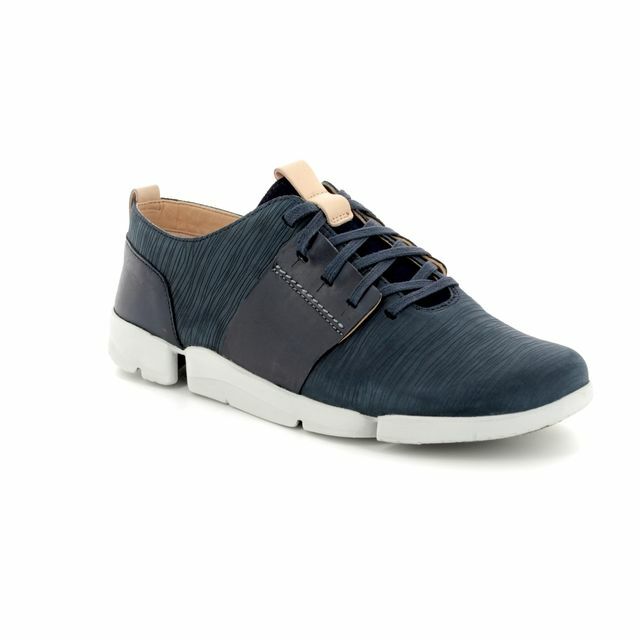 The upper is made from a soft textile and there is a heel loop in a contrasting tan leather to help pull on these trainers with ease. 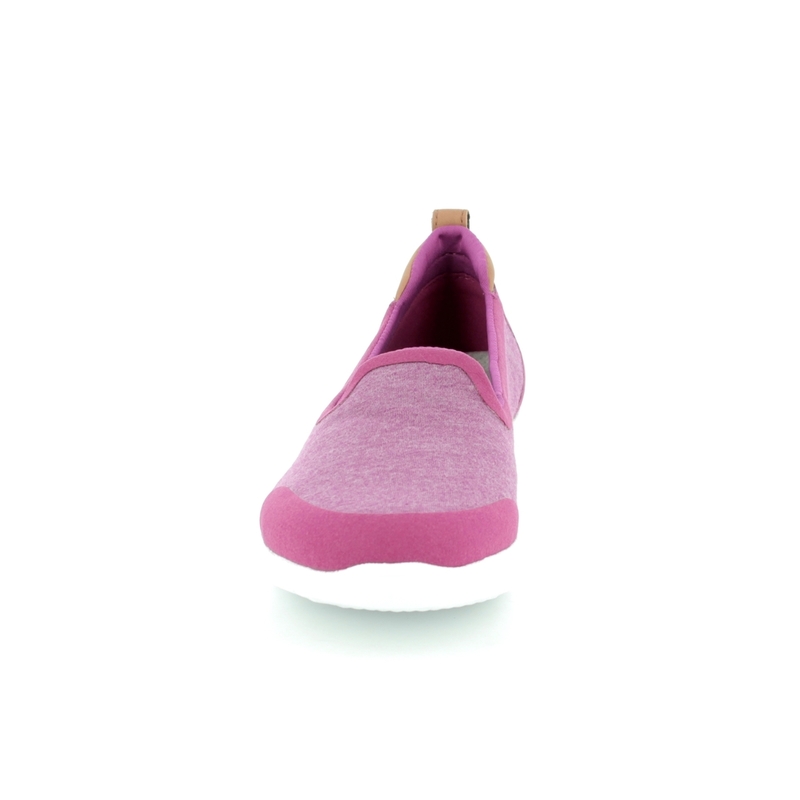 The shoes are a standard D width fitting. 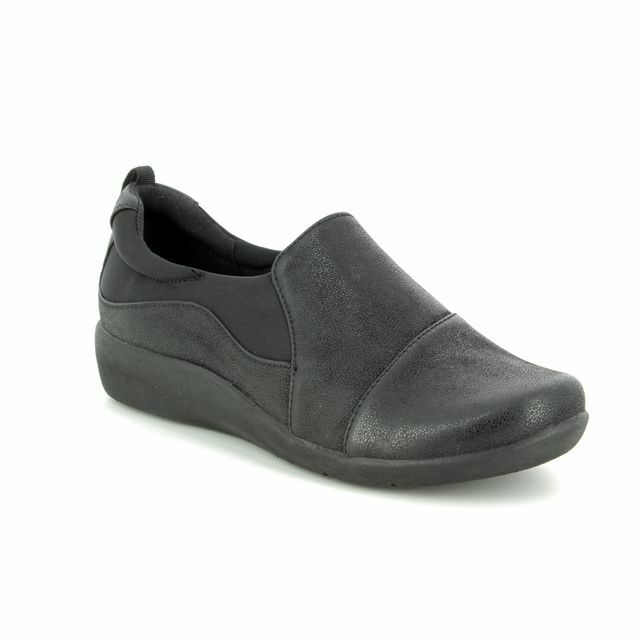 The heel height measures 3 cm. 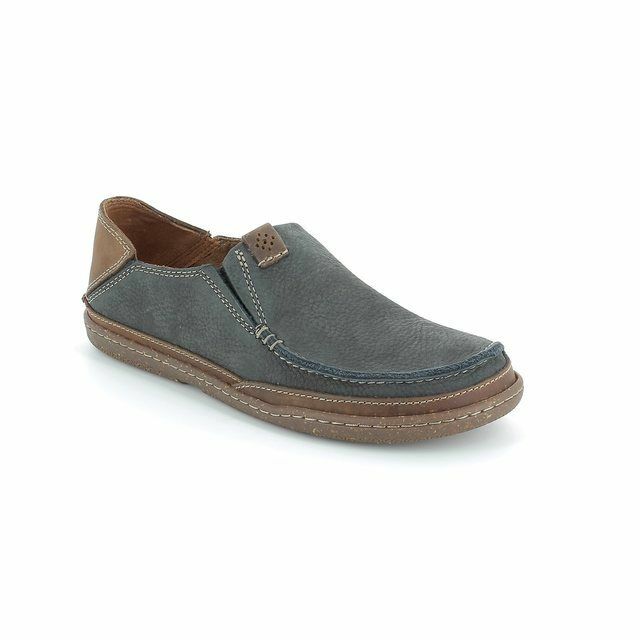 Buy your Clarks women's trainers from Begg Shoes, an official Clarks stockist.